This year’s Safety Innovation Award at the Electrical Product Safety Conference 2018 went to Beko for adding flame-retardant back panels to all of its refrigeration models. The Electrical Product Safety Conference 2018 was held at Church House Westminster on November 29. The panels have been applied to Beko’s full range of built-in and free-standing refrigeration models, making it the first mass market manufacturer to do this across its whole range. The award, given by the UK’s leading charity on electrical safety Electrical Safety First, honours products or projects that have made a measurable difference to improve consumer safety. 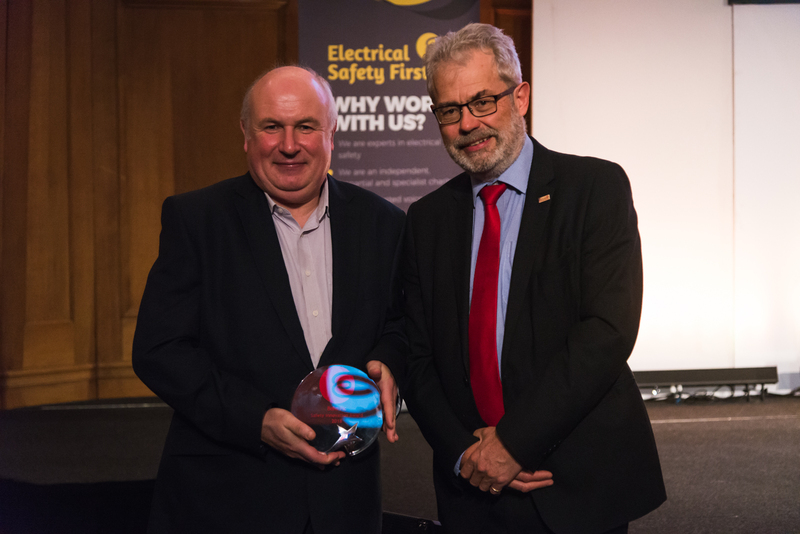 CEO of Electrical Safety First Phil Buckle commented: “We established this award to acknowledge those companies which are putting safety at the heart of their product development process and Beko are worthy winners. “They have developed a solution that reduces the risk of fire and increases consumer safety. Quality manager for the UK and Ireland for Beko Andrew Mullen added: “We are thrilled to have been awarded with this year’s Safety Innovation Award. Which? has called for a ban on plastic-backed cooking appliances throughout this year due to their potential fire risk, and this danger has since been confirmed by an expert who reported his findings in the Grenfell Tower inquiry.